Gabriela'$ Love World: Designer Alexandra Popescu-York on the cover of the International Fashionistas website. 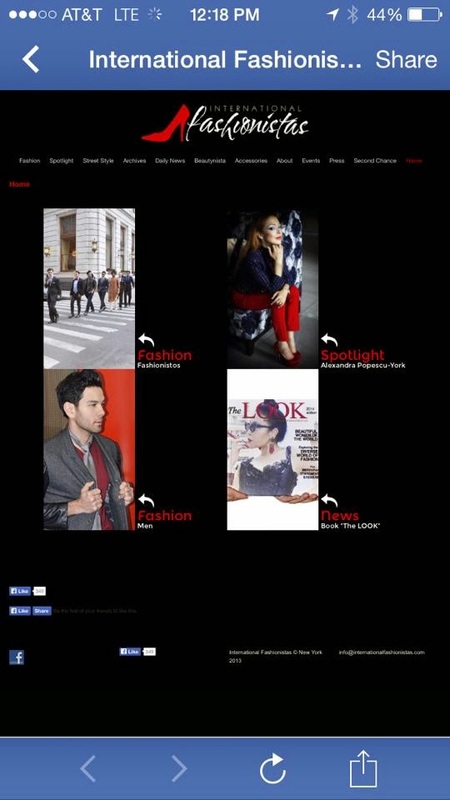 Designer Alexandra Popescu-York on the cover of the International Fashionistas website. Designer/Artist Alexandra Popescu-York celebrating her first page cover on International Fashionistas website by Elle Madrona ,Monday at the launch party in New York! Congratulation for the talented designer for having such a great beginning of the year,for all the amazing projects she did and for much more to come!